Q:What the Jewelry size is? A:If they have different size,the size is remarked in the description of the store.Otherwise it’s one size for all. Q:Why the Jewelry size I buy different from poto? A:Because the pictures are details drawings,the picture is enlarged,please ask customer service before buying.All purchased products is to prevail in kind. Q:Why do the silver jewelry I buy is not real? A:All the silver jewelry is silver content of 92.5% silver goods,It is not 100% pure silver.But it is the same gloss,and it does not fade and allergic,make you look more temperament.Please carefully buy. A:Our jewelry is exquisite workmanship.The silver jewelry you can wash them with soap to keep them gloss,beads and artificial gems jewelry you can put them gift box when you don’t wear. Order Value>$150 Free Shipping ViaEMS,DHL. 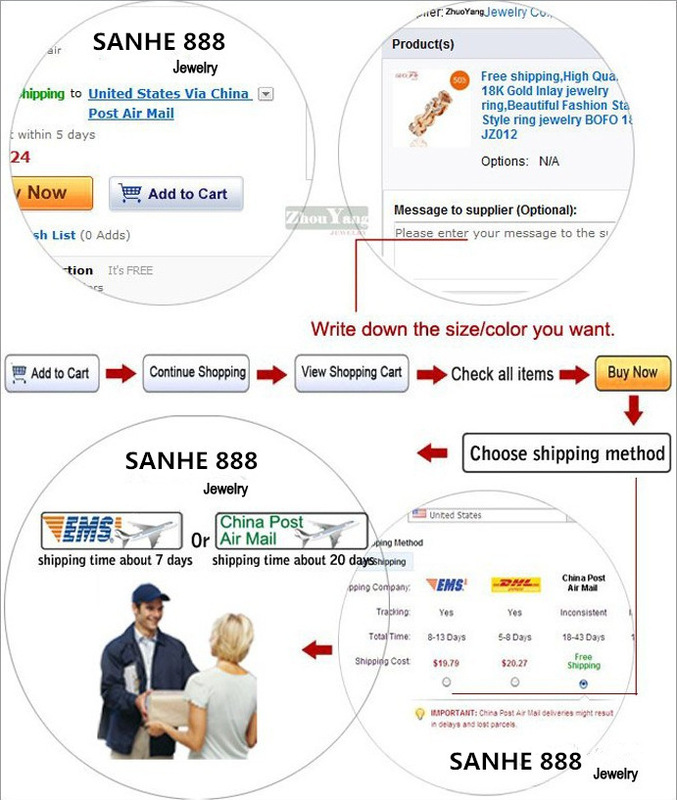 Order Value 24 Countries Free Shipping ViaChina Post Ordinary Small Packet Plus.